Today we're sharing a featured layout based on our May 1st sketch. But before we show you today's inspiration, we want to recognize our sponsors for this challenge. A big thank you goes out to The ScrapRoom for sponsoring this challenge. They are offering a $20.00 gift certificate to one lucky participant! "The ScrapRoom is the online “Coffee House” that specializes in monthly Scrapbooking Layout Kits! 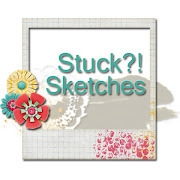 Treat yourself to a steaming hot helping of fresh scrapbooking supplies, delivered straight to your door every month." The ScrapRoom's goal is to help you “get more pages done,” and the “Flavors of the Month” Kit is designed with that goal in mind. Each month you will receive a box containing four individually packaged and unique layout kits, giving you a sampling of the latest and greatest in scrapbooking products. Your monthly kit contains enough paper and embellishments to complete at least eight 12x12 scrapbook pages. Need ideas? Each month TSR customers receive exclusive access to four Recipe Cards, complete with a full-color photo and step-by-step instructions for completing two 12x12 scrapbook pages with each of the four layout kits. With The ScrapRoom’s “Flavors of the Month” Kit, you’ll enjoy the scrapbooking products that you crave, along with ideas and instructions to help you “get more pages done…” And, in order to make your scrapbooking experience with us truly special, we’re packaging a Gourmet Flavored Coffee Sampler packet with each month’s kit,the perfect companion to a box of scrapbooking treats! AND thank you to Accent Scrapbooking, who is also sponsoring this challenge with a $25.00 gift certificate to a second lucky participant. Accent Scrapbooking by kjkareen is a small business in Quebec, Canada. We offer flairs for all projects. Visit our site : www.etsy.com/shop/kjkareen to see all our products! Maria La Chica is our featured artist today. Photos that capture the movement and joy of kids on a beach? Check. Both the cool and warm tones of summer? Check. 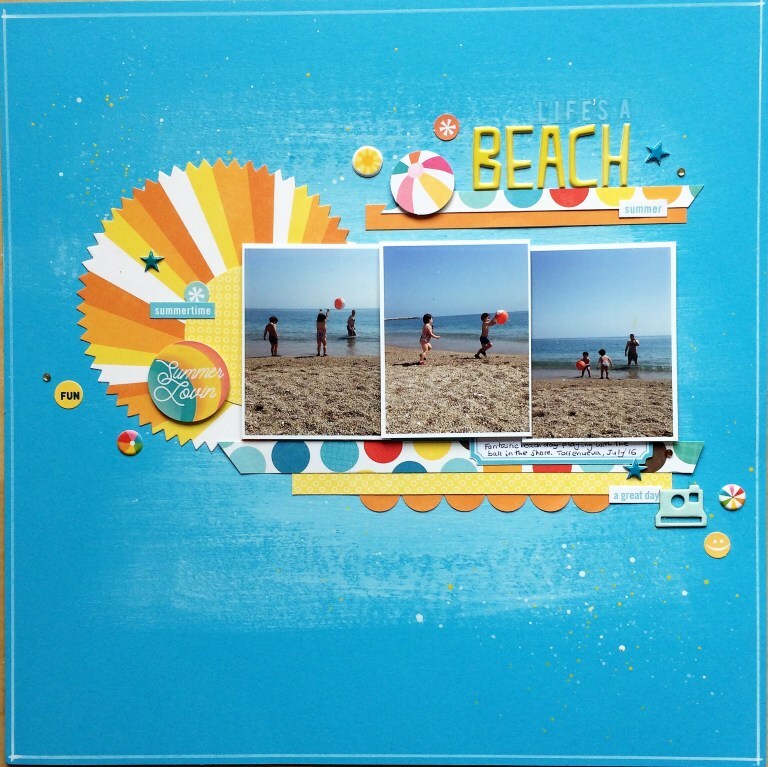 Fun summer-themed papers and embellishments? Check. It's all here. We are so glad you joined us, Maria La Chica. Please grab our "featured" button below and wear it on your blog. Please link up your layouts over in the sidebar by May 29th 2017 at midnight EST to be in the running for one of our prizes! All prizes will be drawn randomly using Random.org to pick a number. Feel free to combine this sketch challenge with other non-sketch challenges, such as colour challenges. Please post a link back to Stuck?! Sketches on your blog entry for our challenge. 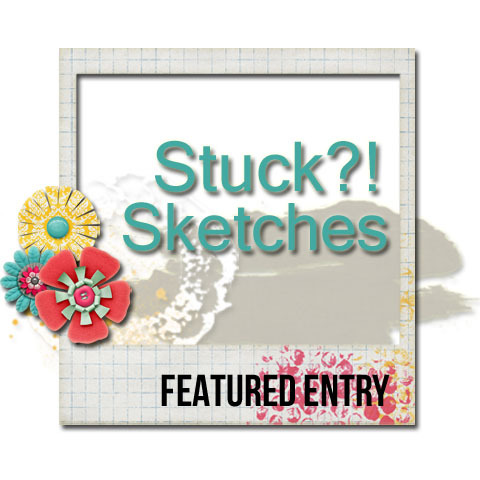 We would also love for you to share the sketch, too!